After so many rave reviews on the internet about The Cheese Steak Shop, we decided to stop by after dinner to grab a sub. It was nearing it's closing time and we found parking easily this Sunday. The place was fairly empty and the people there were friendly. If you come 30 minutes before closing time then you can only order take out. Be sure to get a frequent buyer card just in case you like this place. 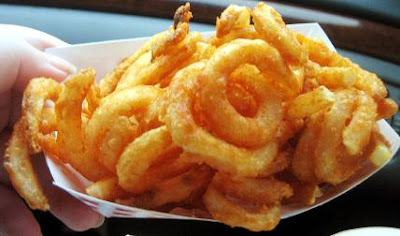 I decided to get some Twister Fries, which were just like curly fries. They were freshly fried and looked good, but fell short in taste. It was crispy but I think the ones at Arby's are better in flavor overall. 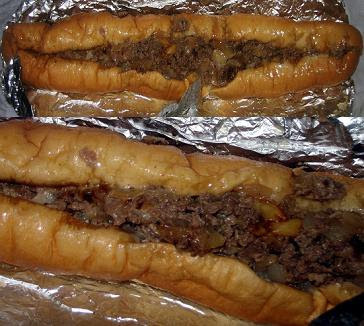 I was greedy and ordered the 15inch Garlic & Cheese Philly Cheese Steak Sandwich with only onions for take out. It was freshly made to order. The sandwich was huge, but sadly it lacked any flavor. I took one bite and I wish I listened to Ms. Lin and ordered the 10inch. This will teach me not to be too greedy next time. I really wished it would taste great and flavorful. There was plenty of meat, onions, and garlic but no flavor at all. We had to take out the creole seasoning and pour tons of it all over the sandwich to give it any taste. All in all I was disappointed with this place and I don't think I would ever come back. 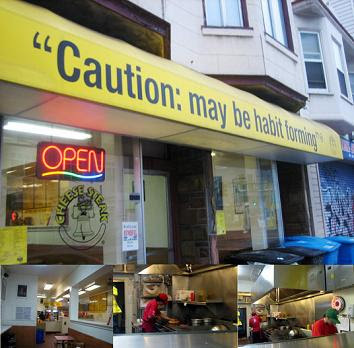 Ms. Lin commented that it's nowhere near as good as the Philly Cheese Steak Sandwiches in Philadelphia that she's been to. I even think that the mall chain of The Great Steak & Potato Company has better sandwiches. They definitely have more flavor.